Comixology, which is owned by Amazon, just recently announced some interesting news. Well, it starts out not sounding especially noteworthy but then as you read more and more it gets progressively intriguing. 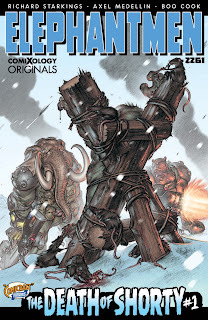 Basically, Comixology is going to bring back their exclusive, "Originals," comics (nothing shocking yet). 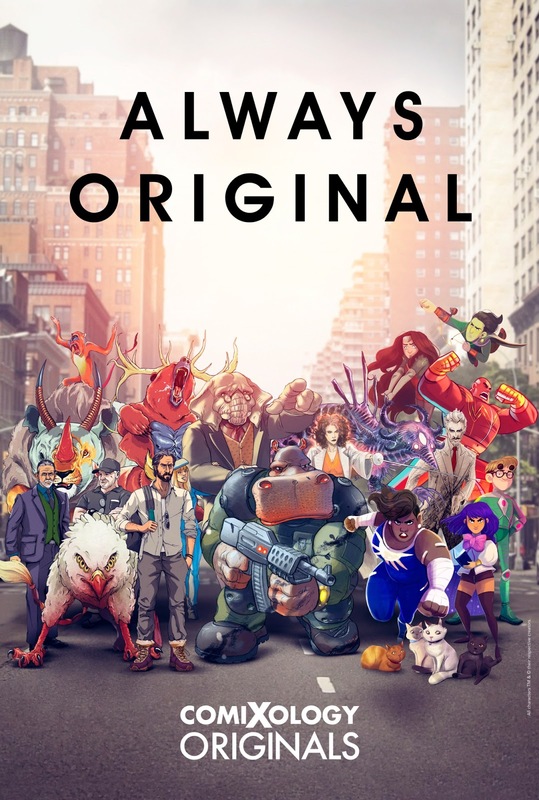 Also, these will be creator-owned and even have some existing properties like, "Elephantmen," which concluded a big run at Image recently (getting more interesting). Oh, and with some of these comics there will be original graphics novels, but also folk will be able to, "Binge," ones in regards to individual issues, like with a television show, as in where the concept would be all five issues of a mini-series might go-up for sale at once. This is almost like an original graphic novel but the comic would still be in individual issues for $2.99 (in most cases) so you could buy one, and if you hate the comic stop reading it or if you love it buy more --oh, and if you have Amazon Prime they're totally free (notable parts of this story are increasing). Also, the comics will be available to have printed on demand by Amazon and shipped to your house--now that's quite fascinating. The, "Free to read digitally for Prime subscribers," and the print-on-demand aspects catch my eye for an assortment of reasons. First-off, these books are creator-owned so there is of course some kind of deal in place with Comixology/Amazon where the creators will get a cut when the comics are bought, and I assume when they are even just read by folk who have Prime. Exactly how much money is paid currently remains a mystery, but this Netflix-style model for comics with the ability to, "Binge," a new series is interesting. We of course have services from publishers like Marvel where you can read a bunch of old comics for a monthly fee, or manga-related digital services, but I can't recall when something brand-new has ever just had all the issues release at once to be read online by folk, as if Amazon were releasing a new season of some big streaming-show. The print-on-demand aspect has a lot to unpack as well. It bears consideration taht with comics there is the aspect of their supposed value and rarity. A book that has a small first-printing but becomes a huge hit suddenly finds those issues highly sought-after with 2nd, 3rd, or more printings then required. If Amazon can just print a comic on demand it means there isn't a special "value" outside of the cost to get it printed and delivered for a small shipping fee or shipped for free if you're a Prime subscriber (what the cost to print-on-demand will be isn't yet clear outside of one 60-page original graphic novel that will be $4.99 for non-Prime readers digitally and $6.99 to have printed upon demand). I wonder if comic-book stores/retailers will be allowed to order some of these print-on-demand comics to stock upon their shelves or if the idea is to make it exclusive to the consumer (again, it's unclear)? A lot of the thrill of comic-books for some folk is buying valuable books (both new and old), yet this new model of books just releasing all their issues digitally at once and having print-on-demand throws a big ol' wrench in that classic, "Direct Market," model that the big distributor Diamond has enjoyed a monopoly on for some time now. There is one critical element in how these comics actually need to be good and not horrible trash. 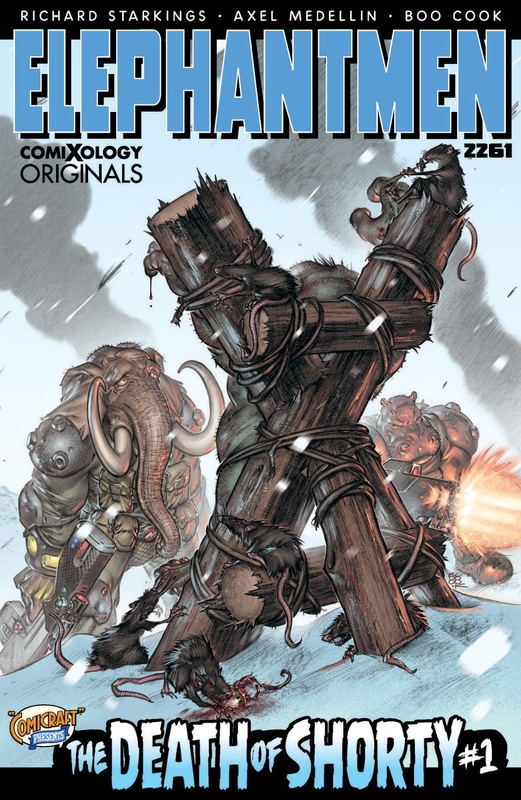 Still, "Elephantmen," is a series with quite the long history so anything relating to that will at least be readable, and for the millions of people who already have Amazon Prime this costs them not a single penny to download and read some comics, with the result arguably being if the books can garner even just some positive buzz it'll be easy for anyone with Prime to give them a gander, and if they really want to own a copy also get it printed and mailed to their home. I see a lot of possibilities with what Amazon is thinking of doing with Comixology, and if anyone has the capital to put towards an idea such as this it is Amazon for sure. 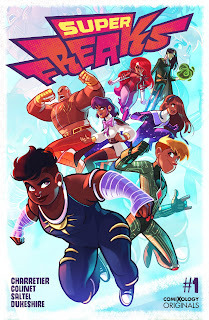 I don't know if this will lead to some gigantic market disruption and dramatically change the comic-book industry, fail spectacularly, or land somewhere in-between with reasonable success and simply turn into a great alternative for comic-makers. 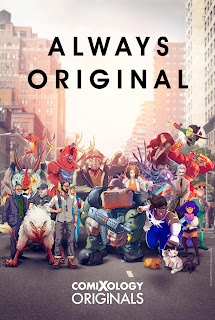 After all, the fact these creators own the rights to their property is a big draw and an element of a publisher such as Image which has allowed it to grow into the powerhouse of a company it is today, competing enough with the, "Big Two," of Marvel and DC that's it more like a, "Big Three." I don't know how amazingly well or horribly awful this will go, but I'm eager to find out.